More research is needed into consumer motivations and behaviour under prepay programs to bridge the gaps between the benefits reported by utilities and the concerns voiced by consumer advocates, according to the United States Department of Energy (DOE). Its new report, Bridging the Gaps on Prepaid Utility Service, reviews the experience of early-adopting utilities with prepay and the perspectives of consumer advocates, and set outs seven activities that it suggests could help overcome the divided opinions on prepaid utility service. The report comes amid the strong growth of prepay programs in the US, especially among electric cooperatives, which is being driven by the roll-out of advanced metering infrastructure, rising consumer interest in reducing energy consumption, and the popularity of prepayment for other services. Many utilities that have introduced prepay programs have reported positive benefits for consumers, including high levels of customer satisfaction and energy savings among participants. Many customers are drawn to prepay as they can avoid the large initial deposits and late fees associated with traditional service, as well as take control of their budgets using daily updates to monitor their balance status and consumption. For utilities, there can be significant benefits in terms of recovering bad debt and reducing long-term levels of residential debt. Most prepay schemes allow customers to pay off any past-due balance gradually, by allocating part of each top-up towards clearing the debt. 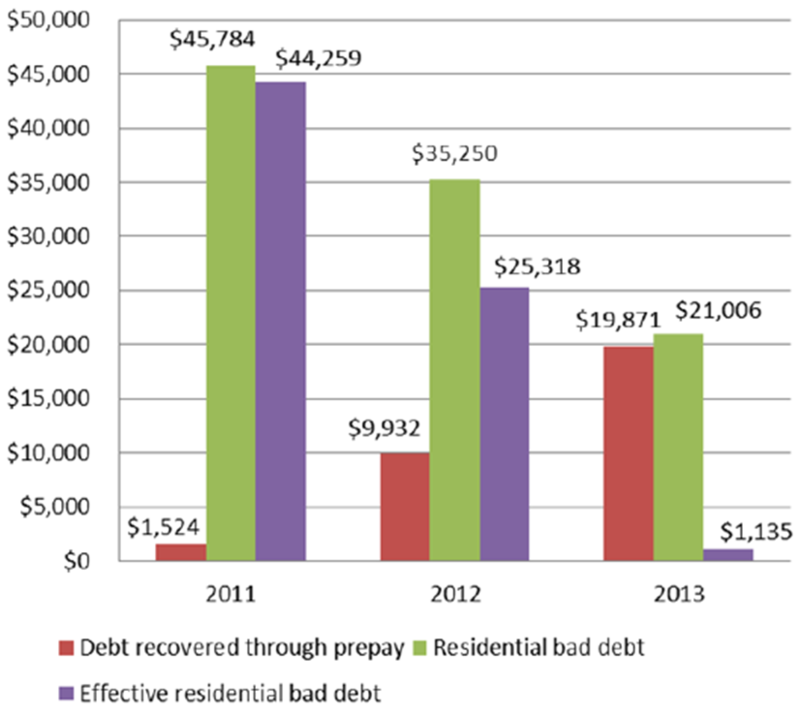 One of the companies studied for the DOE report, Tri-State EMC, reduced its effective residential bad debt from USD44,259 in 2011 to USD1135 in 2013 – a massive 97% drop. There are also well-documented energy conservation effects for those participating in prepay programs, which utilities are increasingly interested in leveraging to help meet policy targets for energy and carbon reductions. Prepay changes how consumers are served compared to postpaid service in several ways, which has led to scrutiny by consumer advocates. Some advocates question how well such programs serve consumers, and express concerns that prepay offers a “second-class utility service” that undermines the protections offered by traditional utility plans. There are also concerns that prepay programs diminish certain consumer protections, including disconnection notice requirements and winter moratoria on low-income disconnections. Disconnection for prepay customers operates differently compared to traditional service. Postpaid customers usually receive a mailed disconnection notice and a “last knock” visit from the utility company before their supply is disconnected. By contrast, with prepay, customers receive alerts when their balance is running low and notices of pending disconnection via text, email or phone message. If the balance is not recharged, the smart metering system will then shut off the power remotely, normally the day after funds are depleted. Advocates are concerned not only about the immediacy of disconnection compared to postpaid service, but also the reliance in prepay programs on electronic communications to notify the customers. “We remain concerned that notices under prepayment plans are often sent to cell phones or via email, despite the fact economically struggling households commonly have difficulty maintaining cell phone and Internet service,” said the NASUCA. Consumer advocates also raise questions about whether prepay really helps consumers save money, or whether any additional program fees, top-up transaction fees and charges for equipment such as in-home displays instead make electricity service more expensive and less affordable. 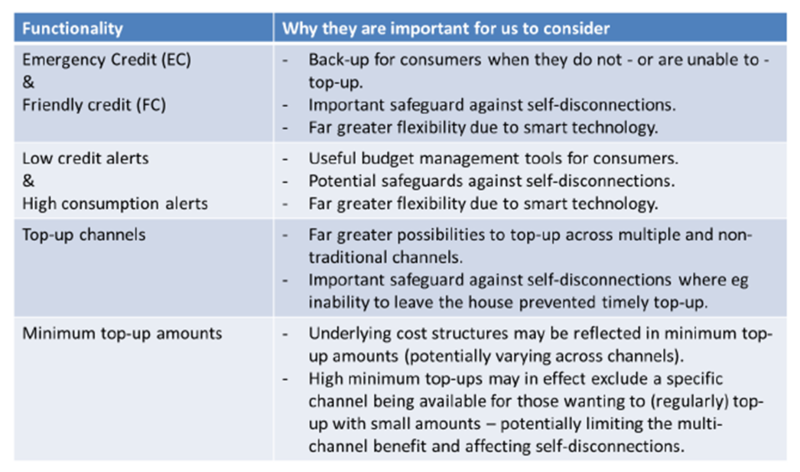 Recognising that the debate on prepaid utility service is far from resolved, the DOE report proposes seven activities to help bridge the gaps between consumer advocates and industry. 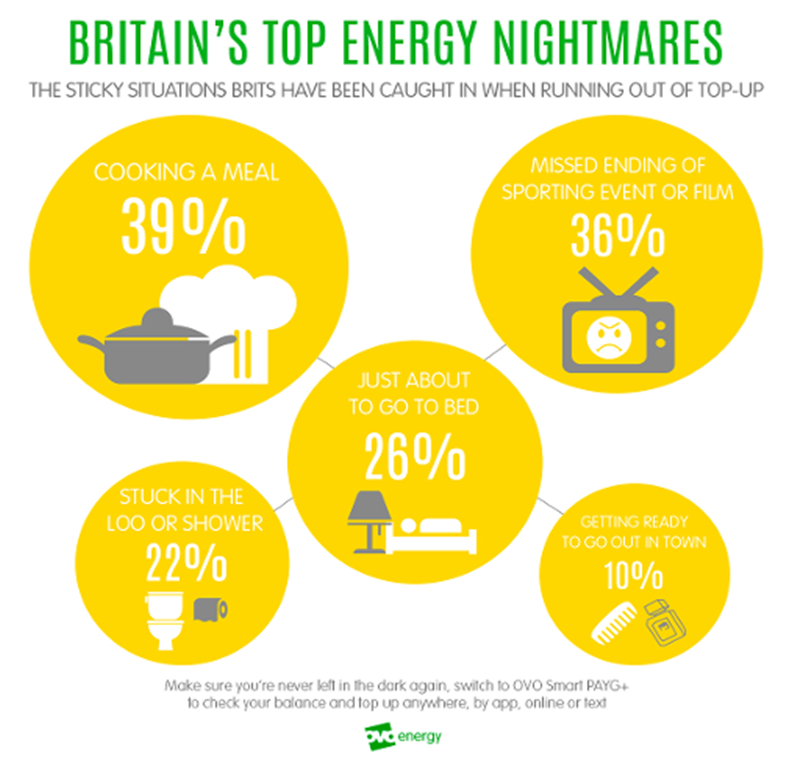 According to the DOE, more detailed data and analysis is needed in two key areas: the energy saving effects of prepay, and disconnection behaviour. The DOE calls for further analysis of the linkage between prepay and energy conservation, to mitigate any risk of deprivation among prepay customers and understand if the positive benefits can be translated to postpaid service. To help customers manage their usage and budgets, prepay programs offer push daily balance status updates and other notifications using multiple communications channels (automated phone messages, texts, smartphone app, email), as well as providing web portals where customers can monitor their accounts. The DOE recommends gathering data on how these tools and channels are used, to understand which are the most effective methods of communication and achieving behavioural change for all consumers. The DOE suggests that prepay participation should be broadened beyond the lower-income groups to which it says it is currently skewed, to assess the potential benefits and issues for a wider range of consumers. It encourages more pilots like Westar’s in Kansas, which targets a wide cross-spectrum of income groups and cannot include a disproportionate number of low-income consumers. Industry should make efforts to understand how the benefits of prepay are achieved (for example, why there are energy savings) and how these can be extended to traditional service, for example to support energy conservation initiatives for all consumers or to help low-income families on traditional service plans. The DOE calls for utilities to address the issue of service affordability, including incorporating budget billing or special rates for low-income consumers into prepay programs, and co-ordinating with public assistance programs (as some prepay programs already do). Another idea is to develop a consumer protection scorecard, which could be used to evaluate prepay programs. The DOE suggests this could build on existing recommendations for consumer protection in prepay plans that have been issued by consumer advocates. These include the NASUCA’s 2011 resolution urging states to require consumer protections as a condition of approval of prepaid residential utility service, and the requirements set out in a 2012 report from the National Consumer Law Center. The report calls for a decoupling of two issues which are often intertwined in discussions about prepay – that is, prepay’s effectiveness as a payment option, and its ability to make electricity service more affordable for low-income consumers. According to the DOE, treating these issues separately could help resolve opposing views on prepay and improve program designs for all consumers. It’s too early to say whether the DOE’s report can catalyse a resolution of the debate on prepaid utility service, but clearly the gaps it describes are going to take time to bridge. “There is a great deal of work that still needs to be done,” the NASUCA told us. The association agrees with the report’s finding that “regularly collected data, along with consistent terminology, would be key,” and welcomes the opportunity to be part of the dialog addressing the NASUCA’s concerns about consumer protection and prepay. Dave Elve, Executive Vice President and Chief Marketing Officer for prepay billing and payment solutions provider PayGo, believes some of the report’s action points overlook certain important facets of the debate. For example, on consumer protections, Elve pointed out that there are utilities, such as NV Energy, that are already making considerable efforts with their prepay programs to ensure that consumer protections are being maintained, if not even enhanced. Elve also thinks the recommendations miss the point that, with prepay, customers are opting in for a service that does away with some of the traditional arrangements. 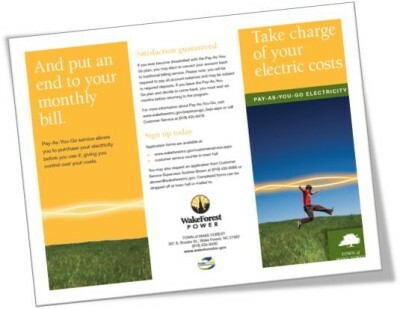 “We find that our customers don’t like the door-hangers that utilities do now for disconnect, because it’s embarrassing. People walk by your house and there’s a door-hanger that says you’re being disconnected and your neighbours see that.” By choosing prepay, Elve said, customers are opting in to getting electronic communications, to not receiving bills in the mail, and to not getting a knock on the door when they get disconnected. Another consideration is that disconnect visits from the utilities add to the carbon footprint, he added. One initiative SmartGridCIS is working on with its utility customers is a loyalty marketing program that ties incentives to prepay plans, so for example customers earn points when they enrol or when they pay. “Make it a ‘better’ program than traditional postpay billing and then, with any luck, we’ll get consumer advocates changing their position on prepay,” said Bastian.